So this fire appliance can be classified as Foam Water Tender (FWT) because it can carry both foam and water. Added by Bomba Boy on 25 December 2006. 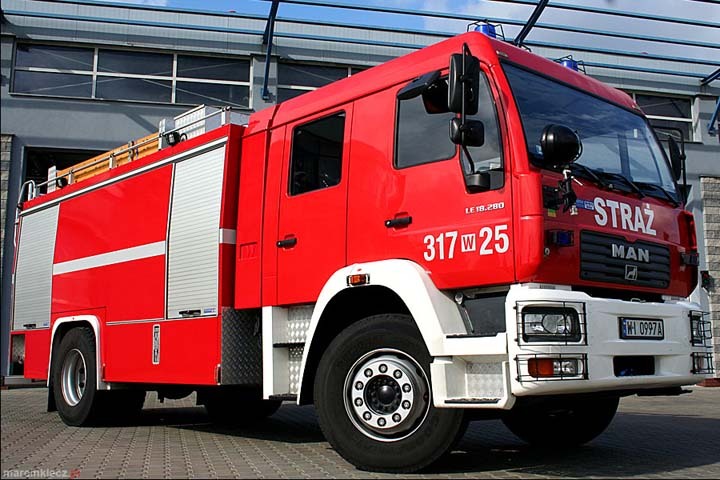 All Polish fire-fighting vehicles with a water tank are required by law to have a foam tank, with a capacity of 1/10 (10%) of the former. A distinction is made only when the proportion is higher than 1 to 10. Added by Konrad Nowak on 30 March 2009. What is the price CIF Dar Es salaam port Tanzania?? Added by Ibrahim W.Makundi on 06 February 2019.
give the price.Also we want to be your representative here in United Republic of Tanzania. Added by Ibrahim W.Makundi on 07 February 2019.